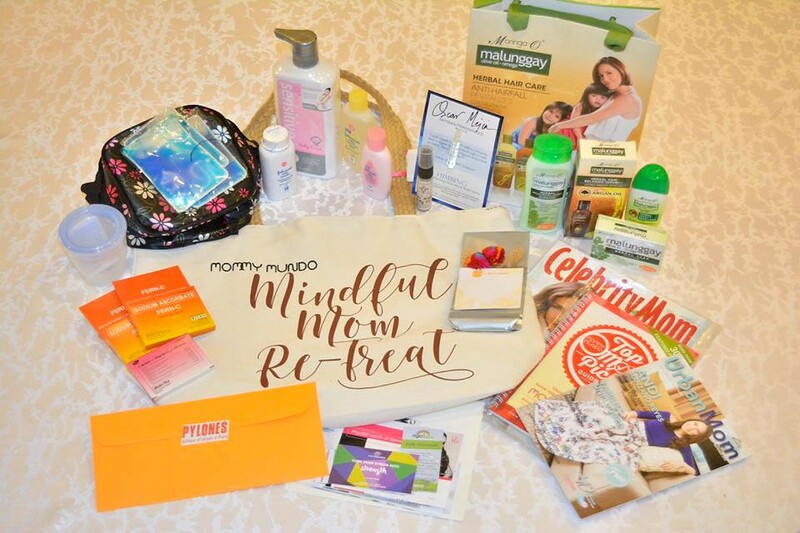 I love how moms are so empowered now-a-days and this because there are so many ways to de-stress and sometimes you need to take a break from the norm. How I love the Mommy Mundo is asking moms to let go of the to-do lists and need-to-dos for just one day and reflect on yourself. Isn't it wonderful to get in touch and re-center yourself? With the Mindful Mom Re-treat you will get to do just that and come out with a happy heart. What the re-treat aims to do is to focus on refreshing, re-energizing and re-centering modern moms. 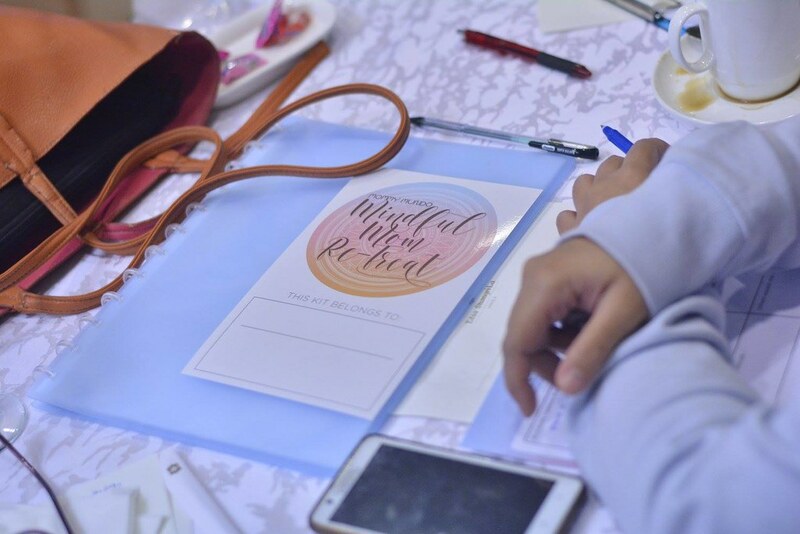 At the re-treat you can expect activities to be facilitated by Michele S. Alignay, MA, Registered Family Psychologist who is also a mom of two, who will help moms gain insightful knowledge about themselves, on how to prioritize as well discover what are the roadblocks to achieve life goals. So imagine lasses, by the end of the re-treat you would have gained the tools to become more focused on tasks, conscious of your goals which can help you become a more mindful person and intentional parent. 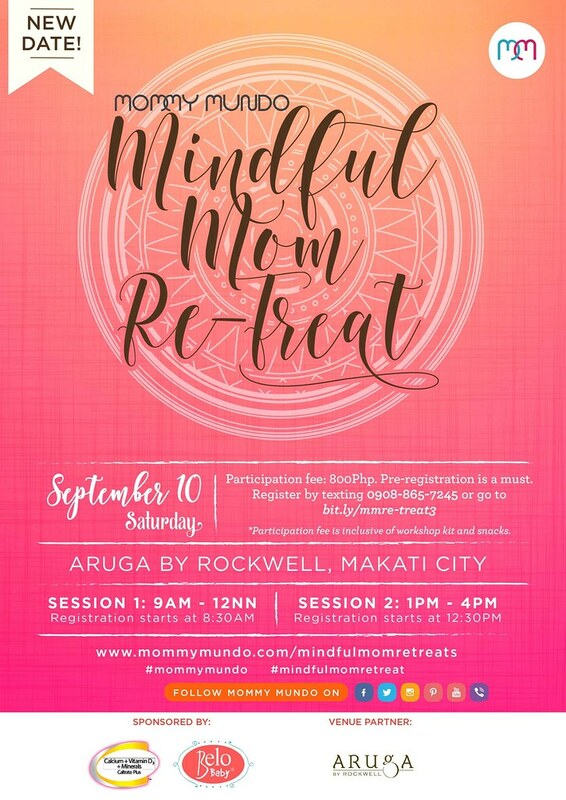 For an affordable fee of 800php for registration, it's a lifetime investment to becoming a more Mindful Mom. Sign up for the last few slots today by clicking here! Hope to see you there! 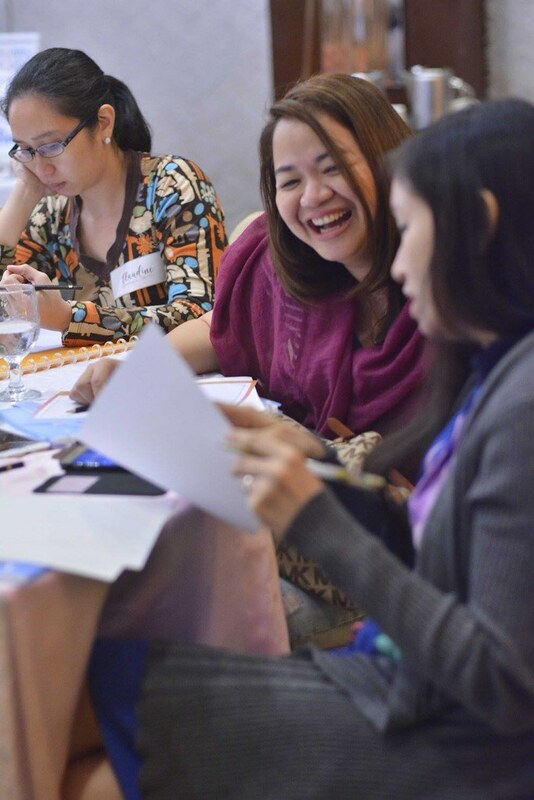 Follow Mommy Mundo on Facebook for more wonderful and events made just for you! I've been a Mother for 3 years and a Single Mother for 2 years na po. Nakakapagod po pero sulit naman kasi kapag hands-on ka po pala sa pag-aalaga sa anak mo eh nakikita mo po results kung nagiging good or bad na Ina ka sa kanila. Kasama ko pa rin po Mama ko now, nakikita ko na po mga pagod at hirap niya po sa pang araw-araw na trabaho, so I'm helping her na. Ako rin naman din po mag-aalaga sa kanya sa pagtanda niya po. Sayang hindi kami naka attend sa event na iyan pero sa tips naman po na nilagay niyo po Mamanee ay malaking tulong na po and reminder din po sa mga hirap na ginagawa ng mga Ina. I really like to attend this event. I know it will be a great help for a mom like me.